I’m not much of a sneaker girl. I think you know this! But I bought the Marc Fisher LTD Mandal Sneakers last week and I am in LOVE. 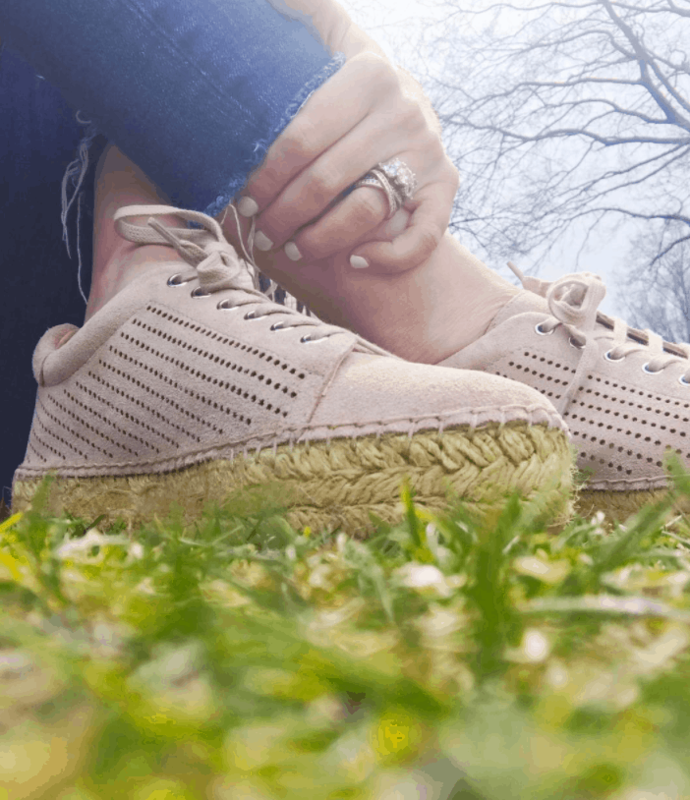 Triple layers of braided jute provide a tropical platform for a breezy, perforated sneaker cut from soft suede. Love suede!! 😉 There are actually a few different types of sneakers that offer up this same kind of look.